You never forget a heartbreak. You can physically feel it every time you remember. You can even remember the sights, the sounds. You may even remember the date. Track days are great for when you only want to work on your riding without any pressure from a race weekend. The trade-off is that even with the appropriated groups, you are never guaranteed a clear track to turn hot laps on. It is common to encounter some kind of traffic you’d have to negotiate around on, forcing you to abandon your pursuit of a fast lap. It just comes with the track day territory, and I’ve come to accept it. However if you’re smart, you can probably save your hot laps until your group’s final session of an event, usually at the 4 o’clock hour. More often than not, most of each group’s riders pack it up for the day well before their final session. 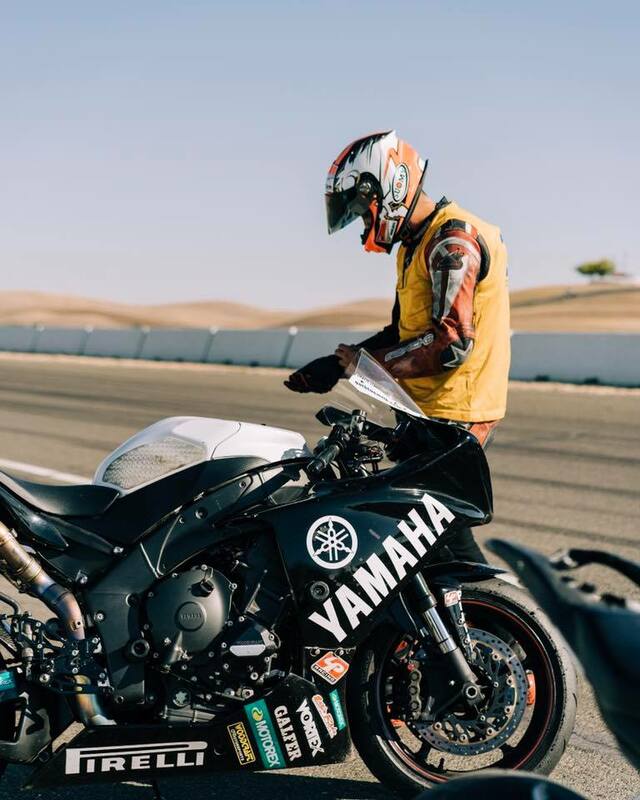 Riding motorcycles at one’s full capacity is physically taxing, and even at just twenty minutes at every hour that’s seven sessions in one day, equivalent to over two hours of full-tilt riding out on track. Most people are not built to go full-tilt for that long. So at 4:00 PM on any given track day, you’re bound to find more clear track than traffic for your final session. And that’s what I banked on during that fateful day last October. Except with a bit of twist. In having to adjust the day’s schedule due to a track stoppage earlier on in that day’s event, we had to hold our final session for all three groups at 4:30 PM, with shortened sessions at ten minutes per group. Mind you, I had already managed to set a new personal best earlier that day – a 2:00.24. Yet again so close to sub-2:00s, but still no cigar. When the clock ticked closer to 4:30 Pm, I debated having a go again at a new personal best during our shortened final session. I was already tired from the day’s workload and all the riding I had already done, and with just 10 minutes for the session I would have to push my pace earlier than normal. My growing collection of data from my lap timer has shown me that I tend to set my personal bests on my fourth or fifth lap. So I’ve historically needed about 10 minutes to set fastest laps around Thunderhill Raceway. Drawbacks of never running tire warmers on my track bike. I threw caution to the wind and gave it a go anyway. I threw a little bit more caution for my riding too, trying to trim a quarter of a second from the day’s personal best. By my second lap the bike was moving underneath me, but I would let it. I rounded out the track to complete the second lap – my first flying lap – and caught a glimpse of my lap timer. It showed 2:00.70, and I was shocked. To see a lap in the 2:00 flat so soon was unprecedented. It fired me up. I started doing something I had never done before: Talk to myself out on track, shouting inside my helmet. The shouting began after rounding my third lap. My lap timer flashed a 2:00.01. “Come on!” I shouted aloud inside my helmet, in disbelief at just how narrowly I missed my mark. “Come on!” I shouted again, that time egging myself out on track. “Come ON!” I screamed again midway through the track. My lap timer has LED lights on each side of its display, representing the gap to the current session’s fastest lap. One LED equals 0.1 of a second – red if you’re going slower, green if you’re going faster. On the long run between Turns 9 and 10 I caught a glimpse of multiple LEDs in green. But as I exited Turn 10 I saw the corner worker wave a checkered flag and muscle memory took over, my body loosening up against my will, my arms steering the bike and I to exit the track instead of finishing the lap. My heart thumped in protest against my chest as it protested the premature end to that lap, and the last thing I remember was hearing myself scream in anguish so loud, I wondered if the corner worker heard me from where he was at. I laughed hysterically as I rolled into the pits, wishing I finished that fourth lap. What these numbers show is simple: Heartbreak. By the time I saw the checkered flag and rolled off my pace, I was up over one full second from the previous lap. I was en route to click off a lap time in the 1:58s around Thunderhill Raceway. I can still feel that day’s heartbreak as I type this now.